Anyone who has ever moved knows it can be a very costly expense. When you are spending so much money, it’s important to make sure you are working with a company that can be trusted and is dependable. Here are some things to think about if you are moving to Dallas in the near future. To start with, you should get a quote from the company you have in mind. Have them explain each item on their quote, and how accurate they feel the quote is based on your preferences. But keep all of the following in mind, because they will be included on your quote. You will get to decide on how much space you need to move all of your belongings into, but the moving company can help. Most companies have been in business for so long, they can estimate based on the size of your home, how much space you will need, to assign the right truck. Just tell the company you contact how many bedrooms you have, and pieces of furniture. It’s best to be honest and not make an estimate of how much stuff you have, because that will differ from what they estimate, and there could be additional space fees, especially if they have to return to their store to get a different size vehicle. You get to choose whether or not the company will pack for you, whether they will load the truck, unload the truck, etc. Doing it all yourself can save money, but it can also cost money. If the moving company handles everything for you, they are responsible for your belongings; if you do it all, you are responsible. Surely they won’t cover an item if it is packed by you, and it gets broken in shipment. But using them to pack will make sure any damages are taken care. Moving to Dallas? 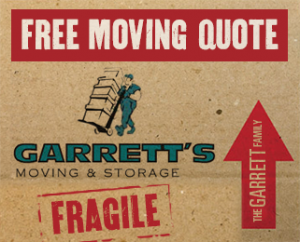 Garrett’s Moving and Storage has a premium packing policy; we include free shrink wrapping and padding standard on every move we do. Most companies will offer some kind of insurance on your items for the move. This isn’t for the packing of the items but against accidents such as; acts of god (ie:storms, hurricanes, tornadoes, earthquakes), car accidents, fires, etc. The price of insurance will depend on the estimate of how much your belongings are worth. Select the amount of coverage based on a realistic, or over estimated amount of what it would cost to replace your belongings. Nothing is worst than losing everything and not being able to replace it. There will be a charge for mileage, normally the charge is based on each mile they drive for you. If you move 1500 miles, the charge will be at least 1500 miles times their per mile rate. Every company will have a different rate for mileage, and you can usually get this information up front. Be sure to ask, but don’t use it as a deciding factor, you are more interested in the final cost of the move. Any reputable moving company will happily explain any expenses on their estimates. As the consumer, it is best to make sure you are choosing a company you feel is trustworthy and fair; it is their job to make sure they come across that way. If you have any questions, please contact us, as we are happy to help. Moving to Dallas? 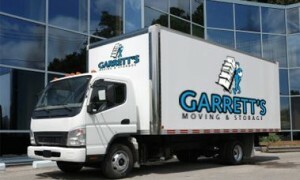 Garrett’s Moving and Storage has 20 years of experience in moving and storage in Dallas and across the country, and we are BBB accredited so you can have the peace of mind that your belongings will be in good hands. Contact us today at 972-487-5843 for a free estimate or click here to request a quote online.